Two simple ways to improve digestion is by adding a good probiotic in the am and right before bed and taking enzymes with all cooked meals. These two additions to your supplement regiment may reduce many if not all of your digestive issues, improve energy levels and enhance your immune system. Dr Michael Lange has been helping patients improve digestion to enhance their ocular health as well as overall health. I have seen many chronic dry eye patients respond extremely well once they get their digestion working better states Dr Lange. Almost every aspect of a person’s health will improve if they get their digestive system in better condition. Dr Lange recommends his patients follow an all organic, gluten-free paleo diet. 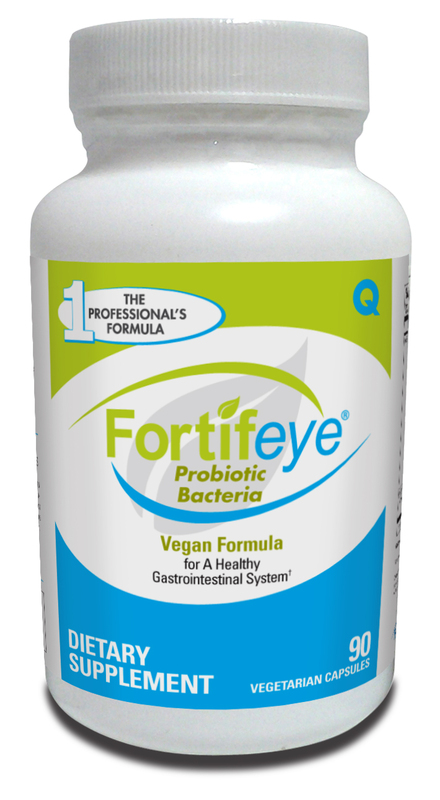 He also recommends they take Fortifeye Probiotic Bacteria first thing in the morning and right before bed to replenish the good bacteria to the digestive system. He recommends a good enzyme like Fortifeye Digestive Enzymes with each cooked meal. If you eat a raw salad then enzymes are not necessary. Fortifeye has developed evidence based supplements with therapeutic levels of probiotics and enzymes at affordable prices.